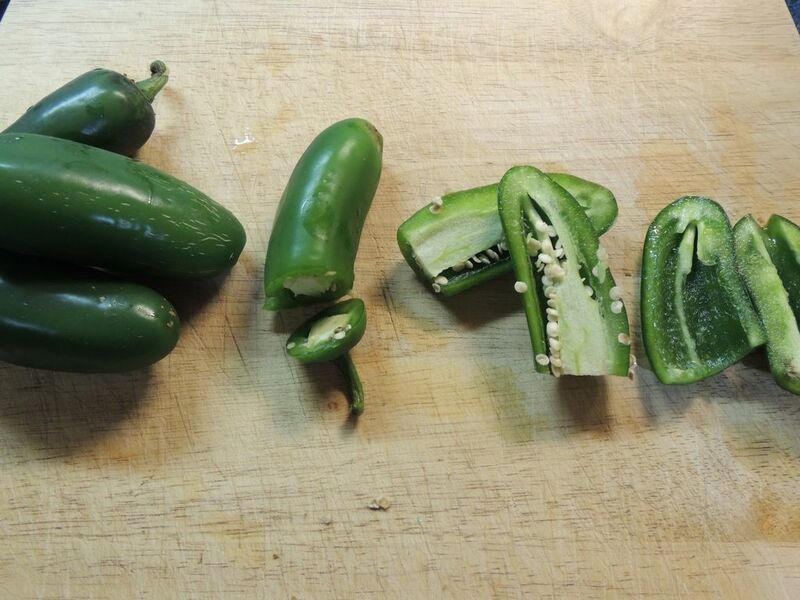 Cut off the stems of 5 jalapenos. 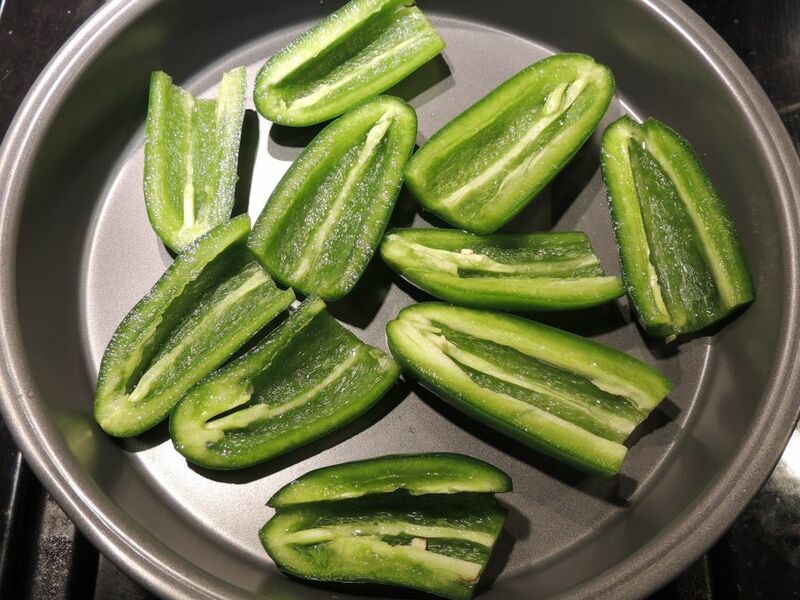 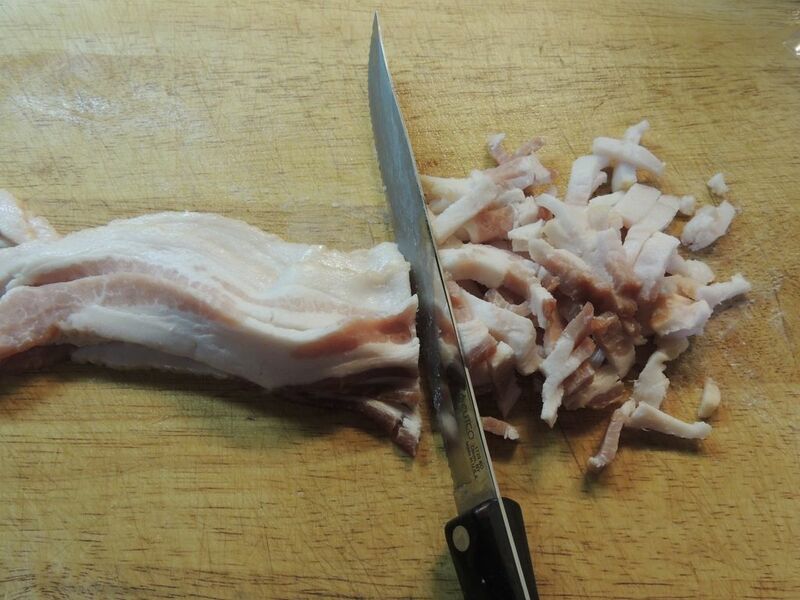 Cut them lengthwise in half, and remove the seeds. 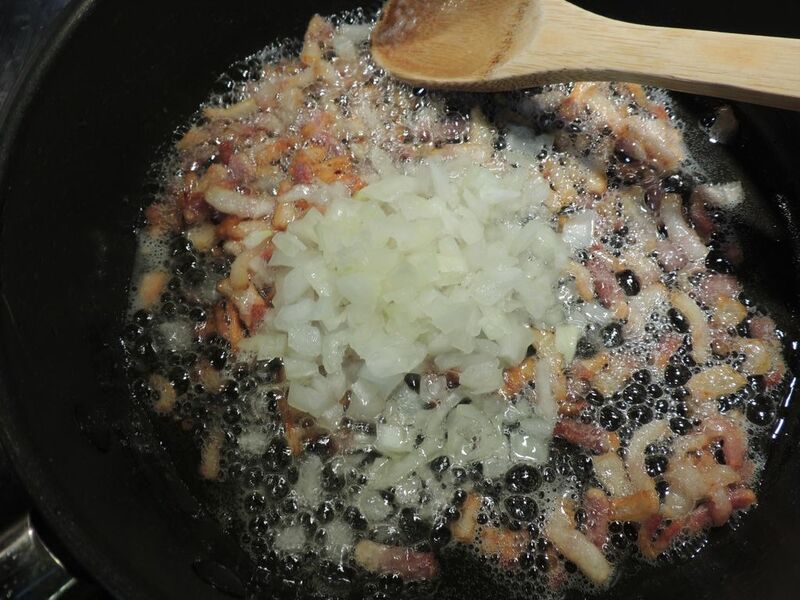 Place them in a pan and broil on HI for 5 minutes. 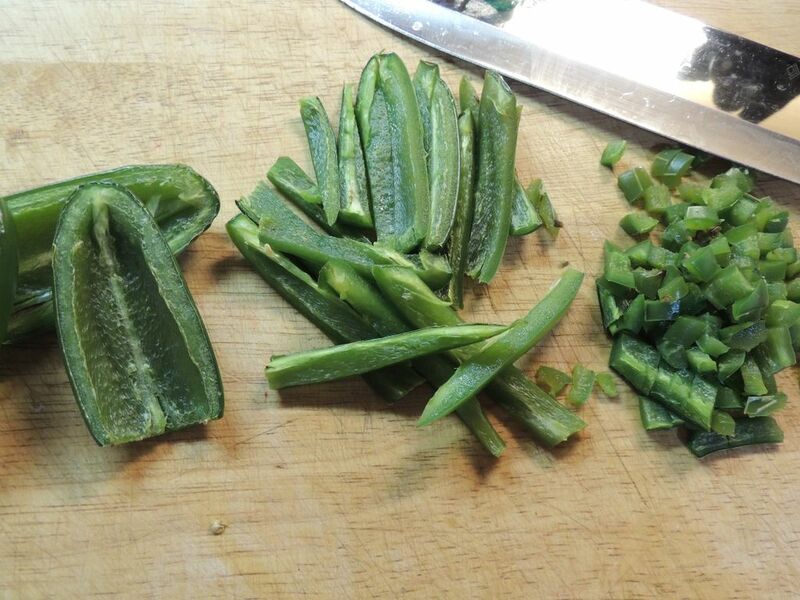 Cut the cooked peppers into strips, then dice. 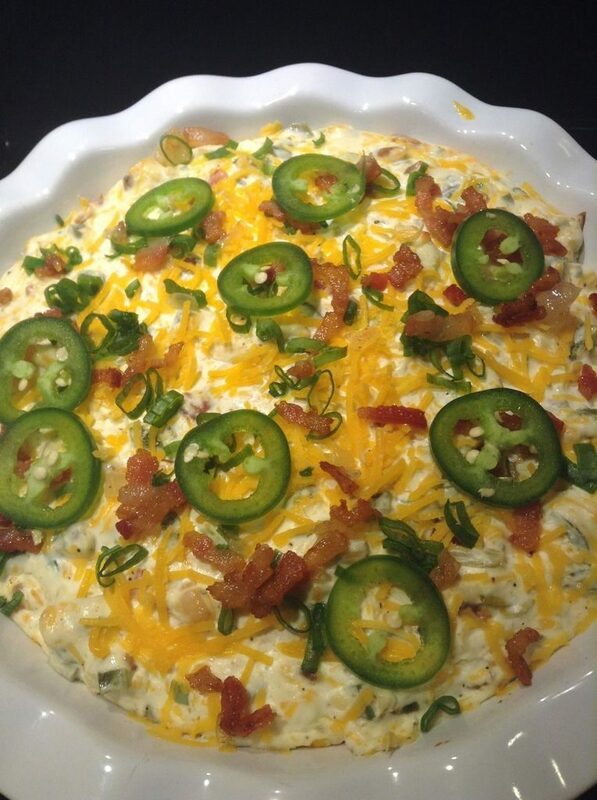 Take the 6th jalapeno and thinly slice it for garnish. 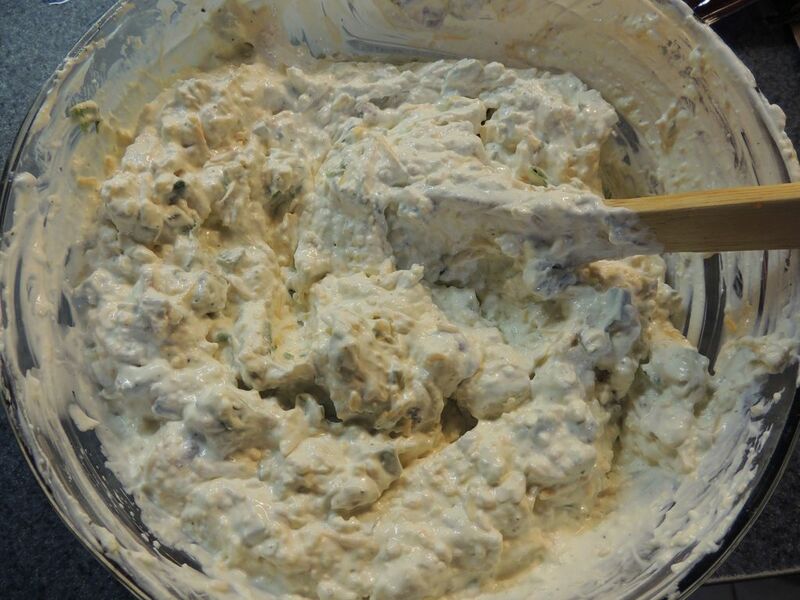 Bake the dip for 20 minutes in a 400˚F preheated oven. 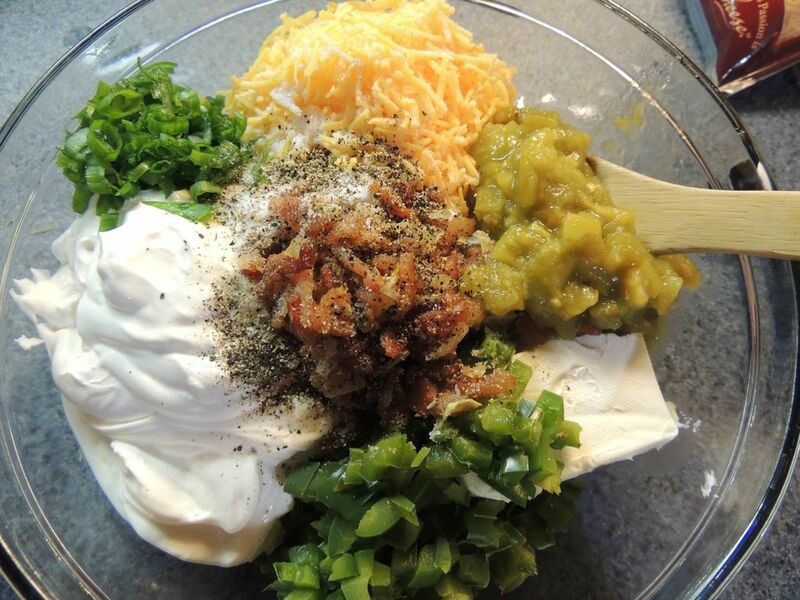 Top with reserved bacon, remaining scallions, sliced jalapenos and ¼ cup cheese. 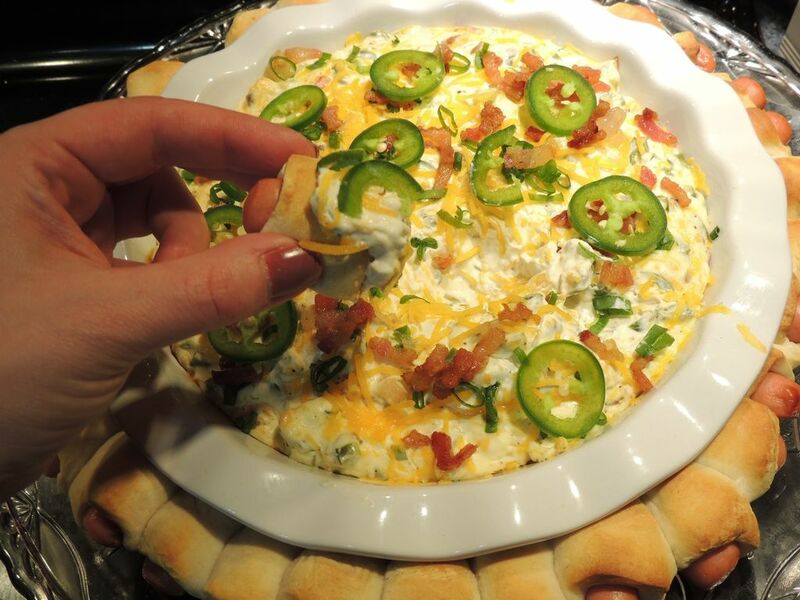 Serve it with a Pigs-in-a-blanket Ring and/or tortilla chips!